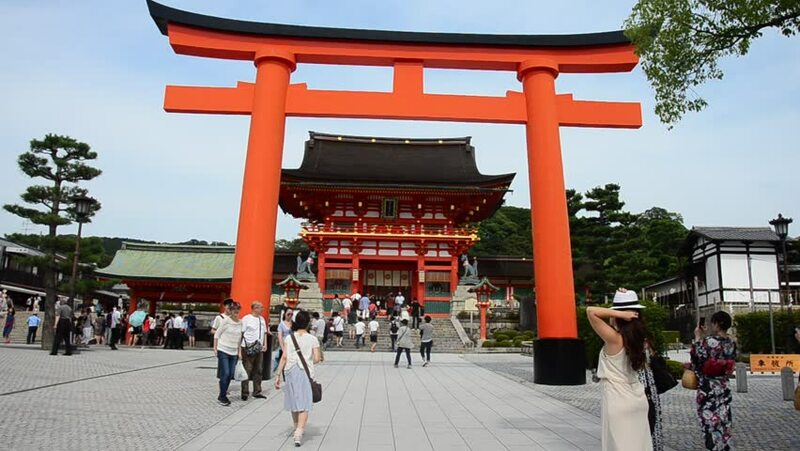 hd00:44Kyoto, Japan - May 4, 2015: : Japanese people and tourists enter Fushimi Inari Shrine in Kyoto. The road to the top of the mountain is reachable by a path lined with thousands of torii (orange gates). hd00:09Kyoto, Japan - November 8, 2018: Fushimi Inari Taisha Shrine located in Southern Kyoto, Japan. hd00:29KYOTO, JAPAN - MARCH 25: Giant torii gate at the Yasaka Jinja in Kyoto, Japan on March 25, 2014.The Yasaka Shrine, also known as the Gion Shrine, is a Shinto shrine in the Gion District of Kyoto. hd00:16Chenghuangmiao street with travelers and pagoda style buildings. The City God Temple located in the bustling City Gods Temple Tourist Area, shot on October 14, 2016 in Shanghai, China.